ADDIS ABABA – Ethiopia’s parliament has passed a law banning the adoption of Ethiopian children by foreigners, a government spokesman and diplomats told AFP on Wednesday. The vote follows an April moratorium on foreign adoptions issued by Ethiopia’s government which led to the suspension of dozens of cases, including some of parents who had already completed the legal adoption process. In 2013 an American couple were jailed for manslaughter for the death of their adoptive Ethiopian daughter two years earlier. Foreign diplomats in Addis Ababa said they hoped adoptions currently underway would not be interrupted. “We anticipate that the implementation of the policy change will be managed in a considerate and forthright manner and that families currently undertaking the adoption process are allowed to complete it in accordance with current policy,” said a US embassy spokesman. Ethiopia is a popular source country for foreign adoptions, a costly process that can take years to complete. The US, for example, has adopted more than 5,500 Ethiopian children since 2011, according to embassy figures. 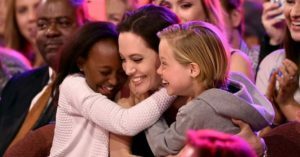 Celebrities such as Brad Pitt and Angelina Jolie are among those who have adopted children from the east African nation. One diplomat said the new law marked “the end of an era”.